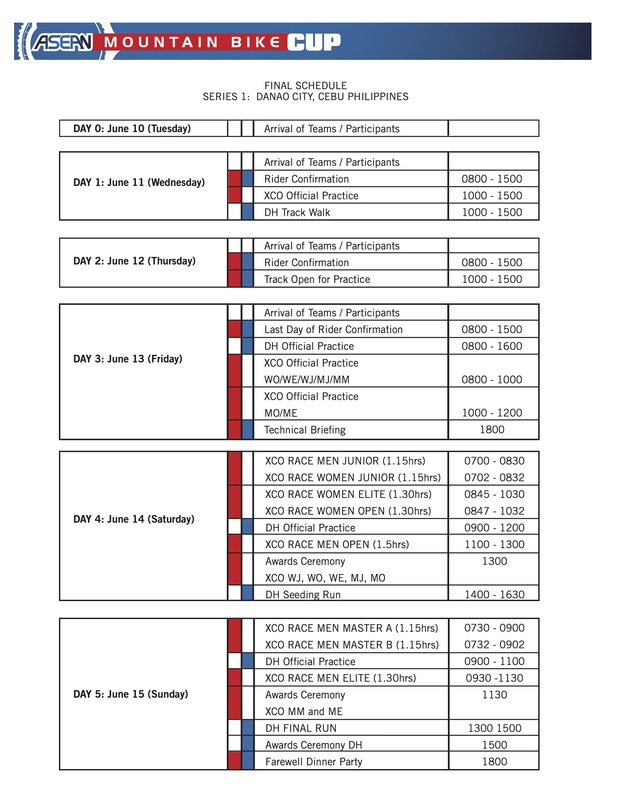 The 2014 series will be hosted by two (2) countries, Philippines and Malaysia. It was an honor for our country to be hosting the kick-off as the first series of this prologue race ready to be registered event on 2015 in the Union Cycliste Internationale (UCI). This event gives NOT only our professional riders a prestigious race in our own local trails BUT also give our seasonal, weekend warriors and competitive cyclists a chance to race with riders from other countries in their own class. 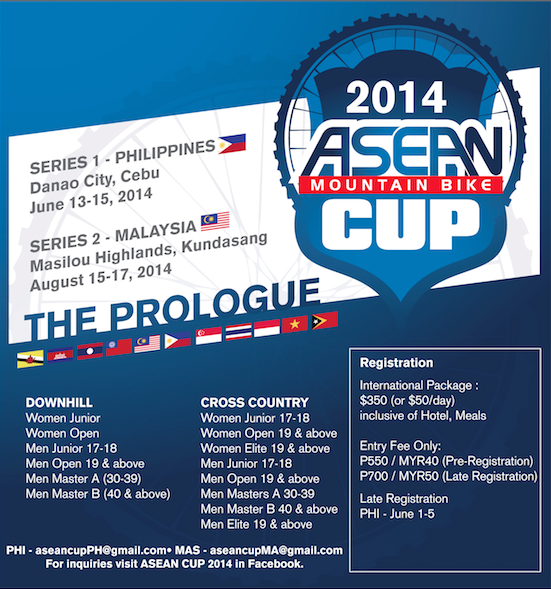 The kick-off dubbed “2014 ASEAN MTB Cup: The Prologue” on June 13-15, 2014 at Danao City, Cebu. Southeast asian countries are expected to participate in the event. Starting June 10, 2014 riders are not allowed to practice in the race track (DH and XC) without race numbers. Race Kits which includes the handlebar number, back number, and event souvenir shirt shall be claimed during the Rider Confirmation which starts on June 11 at the Secretariats Office in the Official Hotel (Danao Coco Palms). Official Practice Times are indicated in the schedule.